The stories of your destination are the essence of its promotion. Visitors, residents, stakeholders, and your organization shape visitor perception through word of mouth. Collectively, these stories form a key component of your destination’s brand. Commercial brands are also a powerful source of stories about a place. Brands that clearly originate from a place, or highlight a place within their communication, can significantly impact the destination brand. Sometimes, commercial and destination brands can strongly define one another’s stories. (It’s hard to think of IKEA without Sweden.) Strong, place-related commercial brands can transfer their brand values and perceptions onto your destination’s brand through consistent storytelling. Economist Gildo Seisdedos and place branding specialist Cristina Mateo of the IE Business School in Madrid have researched the relationship between brands and their places of origin. These high-impact, global brands embed their place of origin in many aspects of their product or communication. For example, IKEA’s brand uses the colours of the Swedish flag, while its stores display signage in the Swedish language and sell products designed in Sweden. Apple etches “Designed by Apple in California” on many of its products. For Manchester United FC, the place is in the name. These brands also use their home destination extensively in their marketing, but they tailor their messages to a niche audience. 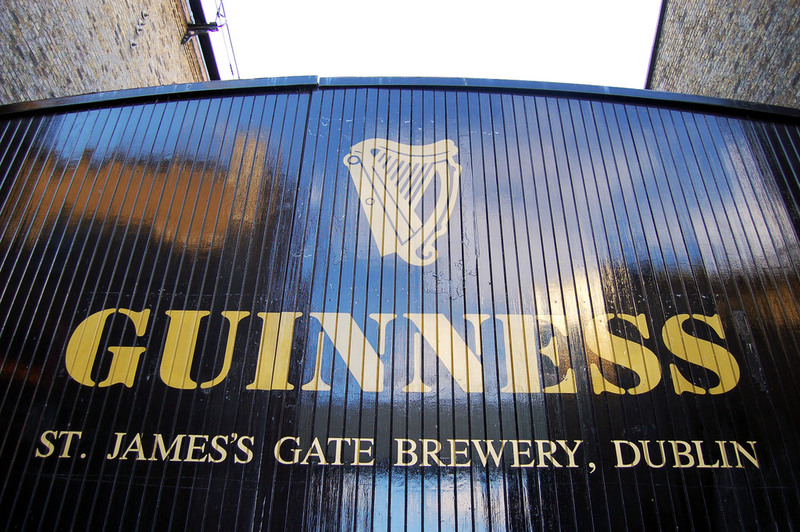 Think of how Guinness evokes Ireland, DKNY emphasizes New York, or Rip Curl fits Torquay, Australia. These brands have a significant and broad impact on consumers, but don’t leverage their connection with their place of origin. Do you have any idea where ZARA, Walmart or VISA come from? These brands use a place name that doesn’t match their origin. Take the American clothing company Patagonia, for example. This brand communicates adventure to a North American market with the namesake of a more exotic locale. 1) Review and strategically categorize your local commercial brands according to the four types found in the brand-territory matrix. 2) Assess how each commercial brand aligns with your place DNA and estimate the impact they have on how travellers perceive your destination. 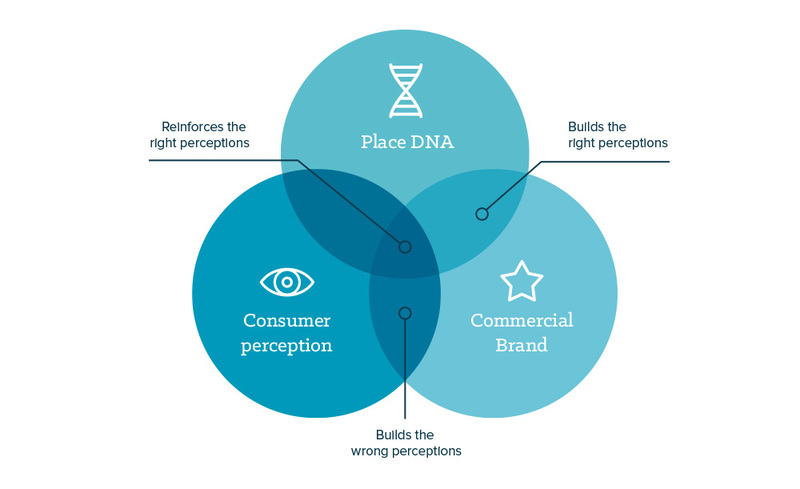 Each commercial brand can build perceptions that either align or misalign with your DNA. 3) Identify opportunities based on this assessment. Destinations can establish partnerships to strengthen the way these brands build the right perceptions. Destinations might also find opportunities to move brands into the Ambassador category by starting to incorporate their place of origin into their activities. Or, when the weight of a corporate brand significantly reinforces negative perceptions, a destination might need a mitigation strategy. The branding influence can also work in reverse, as a strong destination brand can sometimes assist a commercial brand. Many Swiss brands, for example, benefit from their association with their home country. Switzerland Tourism has developed a list of partnerships with Swiss commercial brands that understand that a strong tourism brand will help their brand strength by association. As a result, Switzerland Tourism has been able to diversify its revenue stream through this more robust financial support. In modern destination marketing, managing and leveraging all stories – whether direct or indirect – is an important task that DMOs need to take seriously. Love the concept, William – it’s a strategy I applied when I was CMO at San Francisco Travel, creating impactful programs with San Francisco “ambassador” brand Levi’s, and the “emerging” Wells Fargo, which has a more distinct association with the Western US than specifically with SF. Only one issue with the Seisdedos/Mateo nomenclature – I think the category of “imposter” should be split between those brands that live the values of the brand whose name they embody (I think anyone would be hard-pressed to consider Patagonia an “imposter” at anything – they ooze authenticity) and those that are clearly co-opting the place name for material gain but don’t even attempt to connect their values to the destination – Amazon as one example. Developing and promoting a brand is always a very good away to approach business.